This truism has become a challenge for any building coping with the unrelenting elements that Mother Nature has dealt us this winter. The transitional time we’re in now is producing warmer temps but, unfortunately, huge amounts of slush and grime. 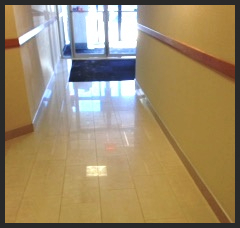 One of the first things any visitor or tenant sees upon entering a lobby is the flooring. Shiny, lustrous marble or ceramic flooring immediately attracts the eye. Yet when shoes and boots trek in sand, salt and chemicals, floors become dirty, gritty and dull. Building owners and managers are finding that the proper placement of runners and installed inset mats at entryways can prevent many exterior elements from damaging interior flooring. music down load sites . These absorb much of the debris from feet and preserve and protect floors with minimal maintenance. Areas surrounding the carpeting and below it still need to be kept clean and dry to protect the flooring’s surface. Trapped moisture can cause significant damage. Keeping all areas free of dirt and moisture and using mats and runners wisely will lower maintenance costs and help floors retain their beautiful, polished sheen year-round. Placing inset mats and runners at building entryways helps preserve and protect flooring year-round.